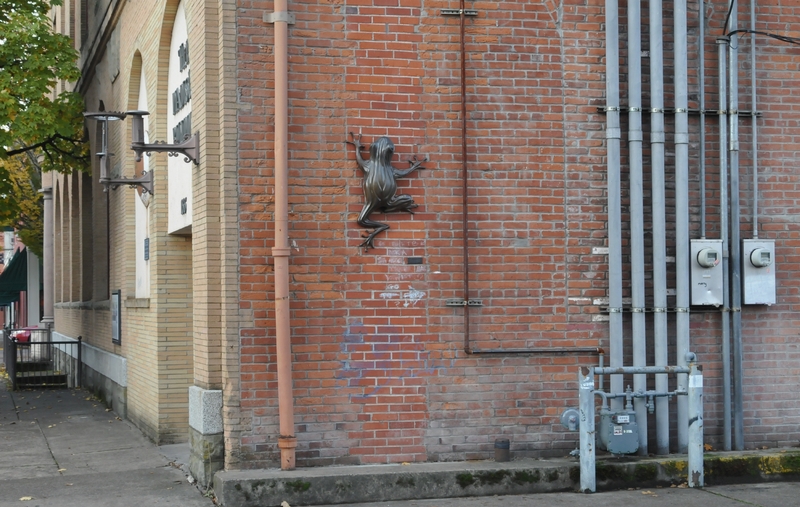 The frog was "Ascending" up the side of a brick building in downtown Corvallis, Oregon. It was smaller than expected and easy to miss unless you are looking for it. 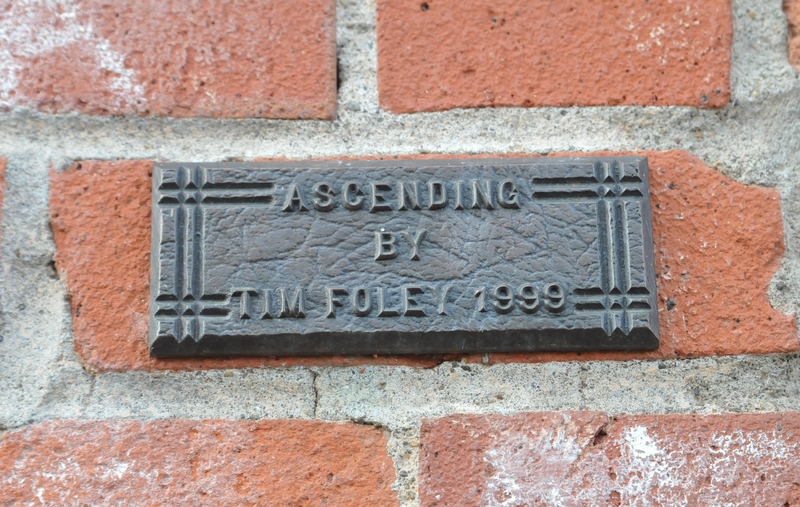 A small sign below the sculpture read, "Ascending by Tim Foley 1999." 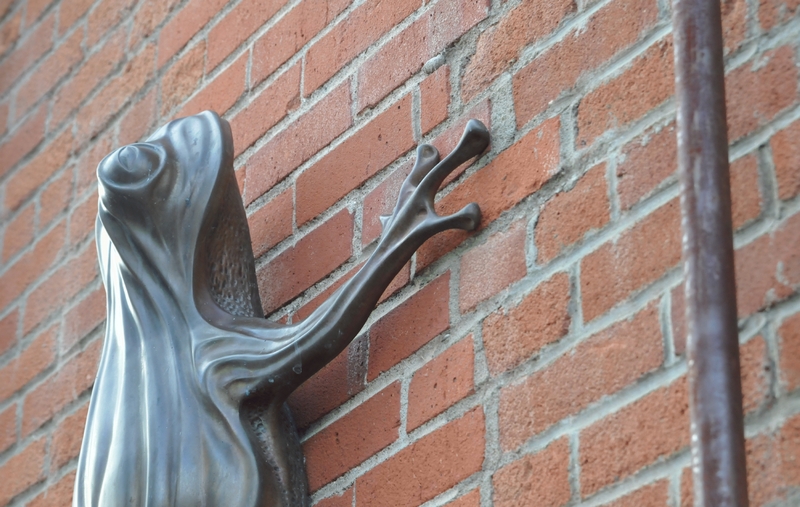 A closer shot showing the whole frog in relation to its sign. Below the frog you can also just barely see erased chalk of old graffiti. 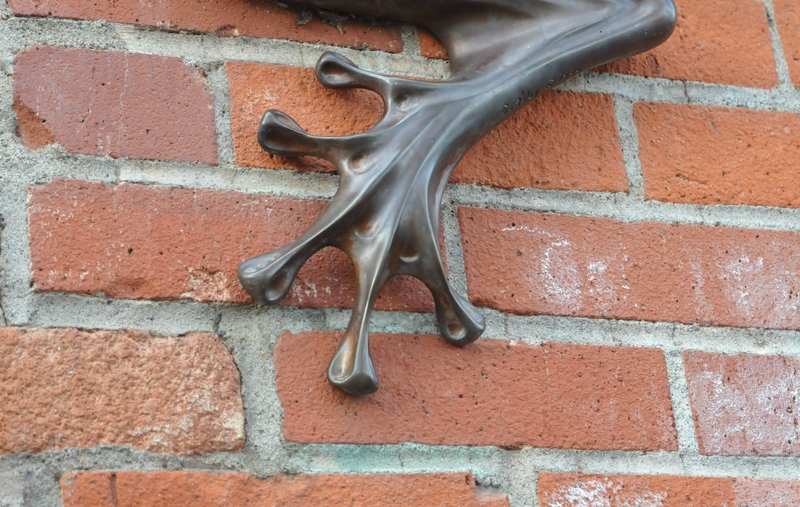 A closer shot of the Right foot of the "Ascending" frog of Corvallis, Oregon. 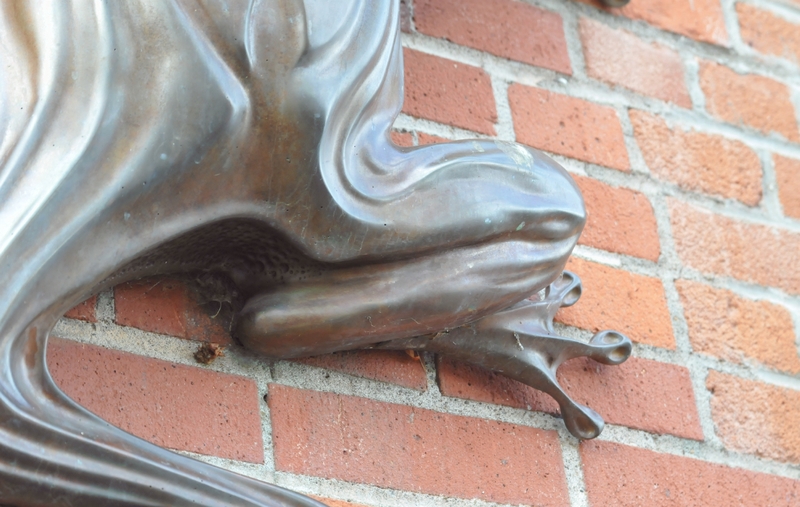 The rump and right foot of the "Ascending" frog of Corvallis, Oregon. 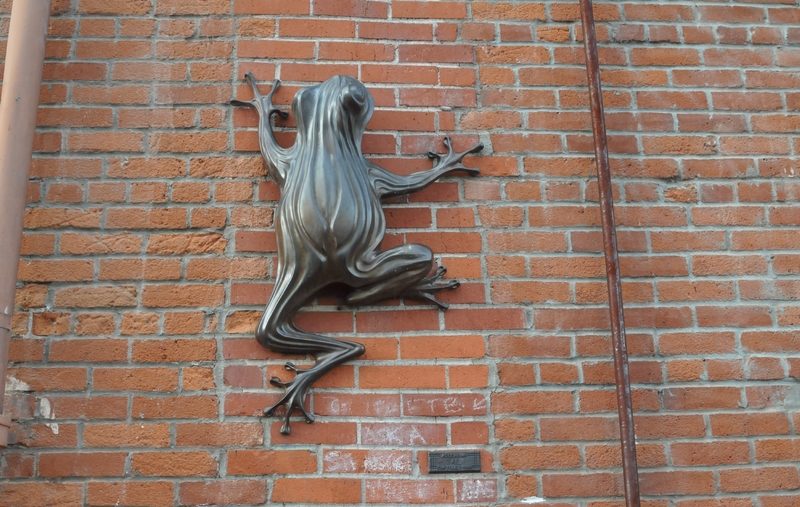 A view from the side of the "Ascending" frog of Corvallis, Oregon, showing its head and right front foot.